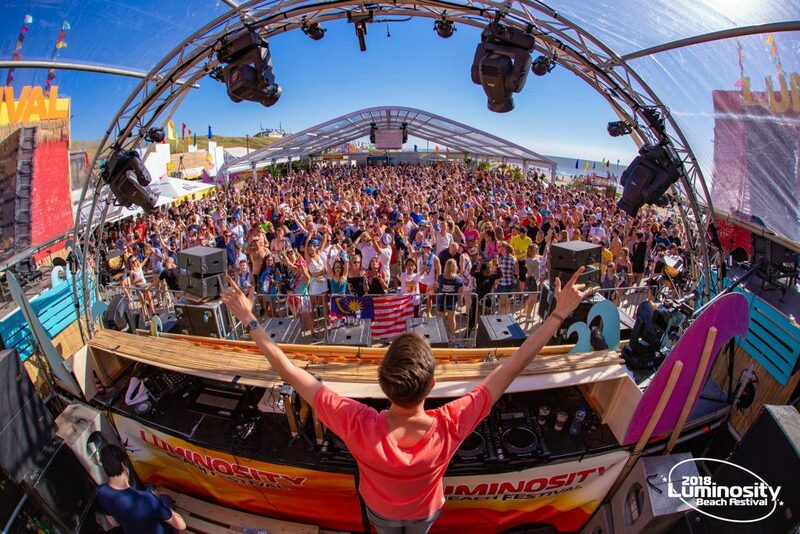 Luminosity Beach Festival – is there anyone who had enough of this world trance mecca? When you mention Luminosity Beach Festival, there’s no person from trance music world without getting to know this event. During the past decade, Luminosity Beach Festival is named between the most famous festivals and has grown into world-known trance event, probably such just the one, with the longest, every year astonishing lineup, pure beach location and trance lovers from around the globe. Every year, when the festival date is approaching and the lineup is being announced part by part, many of event attenders post about trying to solve it and later getting lost into the choices between DJs, stages, which sets, trance acts to pick and which ones to miss without regretting. It’s a mission impossible to detect a similar lineup for trance event, festival. Especially this year so far. If you were asked to paint a dream of trance festival, what would it look like, what paintbrush strokes would you use? Would you draw first the most passionate and addicted trance lovers from around the world, various countries, trance lovers who just can’t miss this legendary festival? All together for not less than couple of days diving into various subgenres of trance music? Envisioning the dreamy location during summer time probably leaves no choices – imagination leads to nowhere but a wide sandy beach with sea breeze and a view of breaking waves against endless skies and horizon. Enclose all that by the lineup without comparison, astounding by variety of trance DJs and acts, projects every single time you open the timetable – and the trance festival dream will be complete. The lineup has some of trance DJs or sets you have been hunting for ages – they were invited and getting ready to play here, at Luminosity Beach Festival, where the dream to see them performing live finally will be real.